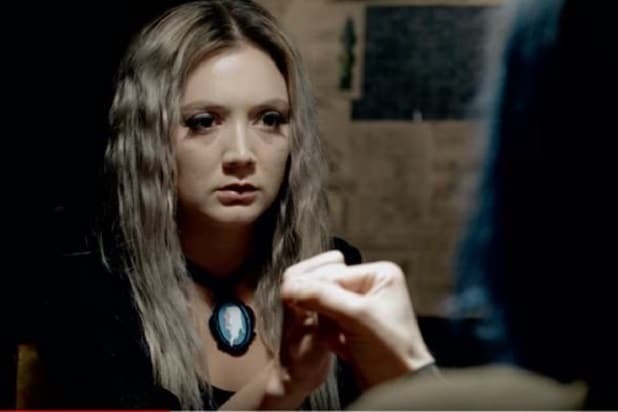 Episode 8 of “American Horror Story: Cult,” “Winter of Our Discontent,” threw some serious curve balls at fans of the series. Throughout the latest episode, plenty were asking themselves just what the hell was going on as clown cult leader Kai Anderson (Evan Peters) became weirder than ever before. The driving force of the episode was the growing tension between Kai and the women in the cult. After Kai got one follower, Meadow (Leslie Grossman), to stage a fake assassination attempt to get him national spotlight, he apparently turned the cult into a male-centric endeavor. His sister, Winter (Billie Lourd), and followers Ivy (Alison Pill) and Beverly (Adina Porter) were feeling marginalized, and it made them want to strike back. Last week, they killed Harrison (Billy Eichner) as part of their retaliation. But Winter still trusts Kai, and she started the episode trying to talk the others down from turning on him. She told a story about how Kai saved her life two years earlier, and started down his murderous path. But fans aren’t really buying Kai’s supposedly altruistic origins. Also Read: 'American Horror Story: Cult': Is Judgment House a Real Thing? The real “WTF” moment came a little later, though. Doing their “pinky power” thing, in which the Anderson kids hold each other at the pinky finger and agree never to lie to one another, Kai told Winter about his plans for his movement’s future — and the next generation. Fans were shocked and confused, to say the least. While people were having a hard time dealing with Kai’s request (or the part of the episode where he, Winter and Samuels tried and failed to enact the “ritual”), they were happy about one thing. Ally (Sarah Paulson) is back, and she’s apparently gotten over her “being afraid of everything and screaming constantly” problem. She even invited Kai to dinner for a parley. Little did fans know there was one more big “WTF” moment coming. The episode ended with another powerful reveal — that Ally was the newest member of the clown cult, much to wife Ivy’s shock. Fans were just as shook by the revelation as Ivy. 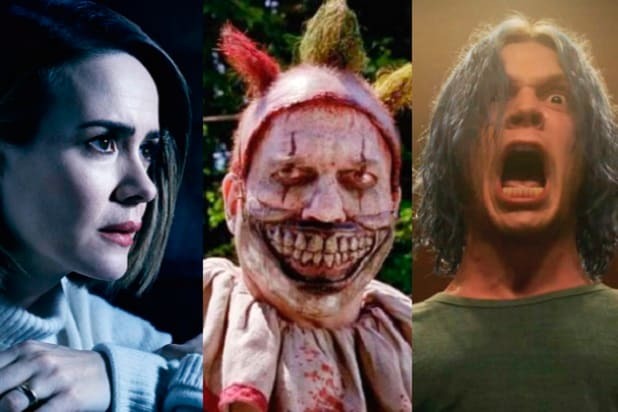 With three episodes left in “American Horror Story: Cult,” one can’t help but wonder how the series can get much crazier, or more shocking, than it already is. Fans are ready to see it try, though.